We are really excited to be releasing our debut album New Era on the F-IRE Presents label, out Monday 1st June! 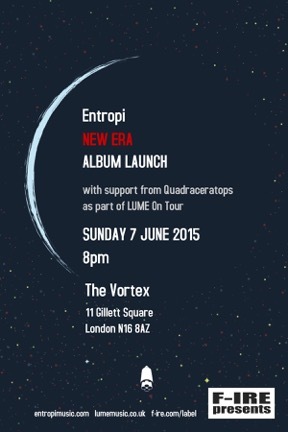 We will be launching the album on Sunday 7th June at The Vortex. Recorded at the Fish Factory Studios in London, the album features the music of saxophonist Dee Byrne with Andre Canniere (trumpet), Rebecca Nash (keyboards), Olie Brice (bass) and Matt Fisher (drums). Get your copy of the album HERE.